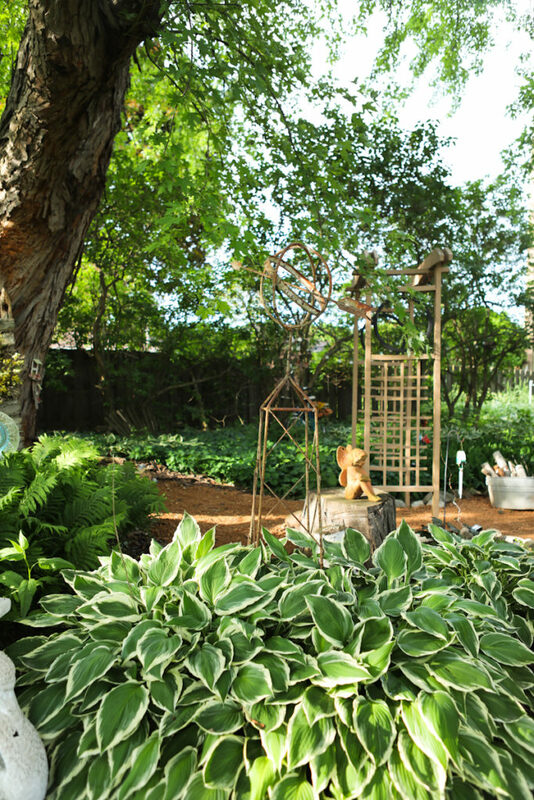 When I walked into Vicki Maloney’s backyard, I was immediately surprised by the charming garden getaway that laid before my eyes. Not only was I charmed by the gardens, but I was also charmed by the glass of lemonade that greeted me as soon as I got there. 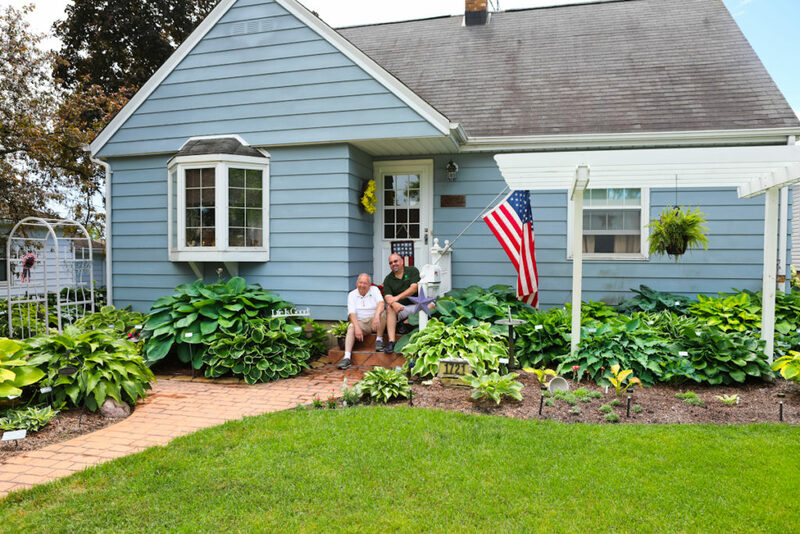 She and her family decided to move into their home over 20 years ago. This allowed them to be closer to her father, who lived near by. 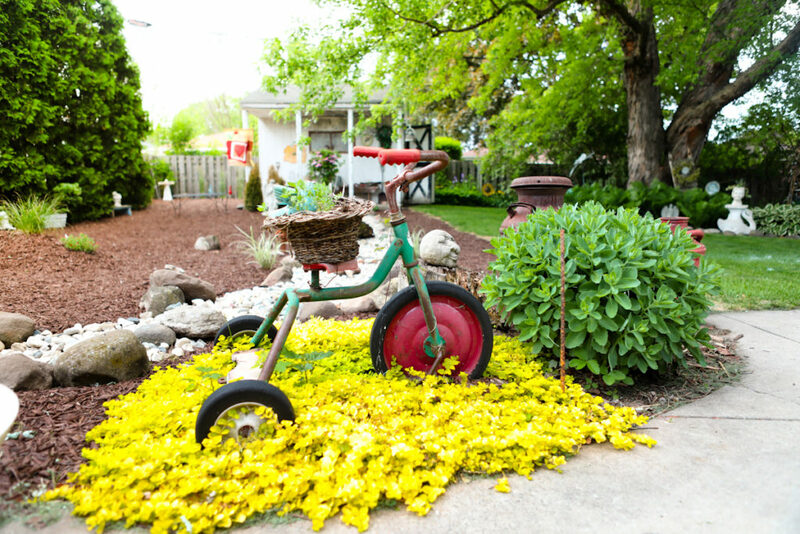 At this time, not even Vicki knew what she was about to create in her backyard over many years to come. 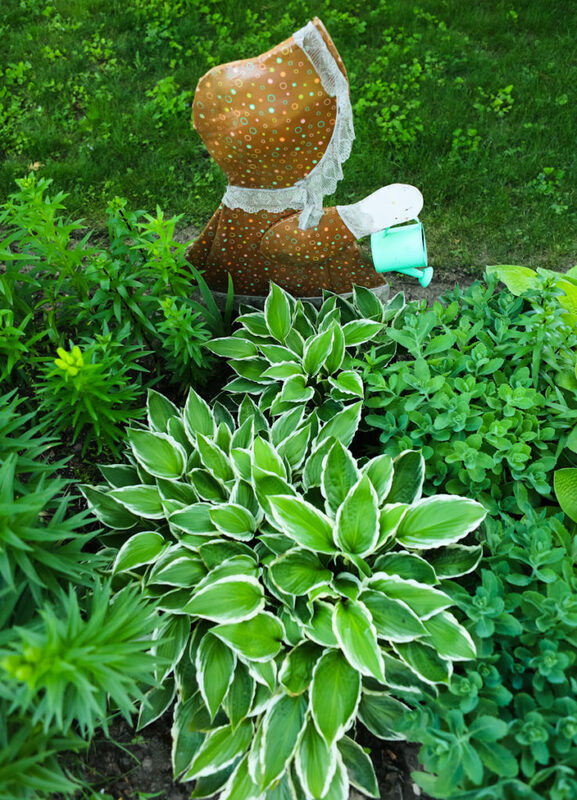 She decided to start off this long term project with some different varieties of Hostas. 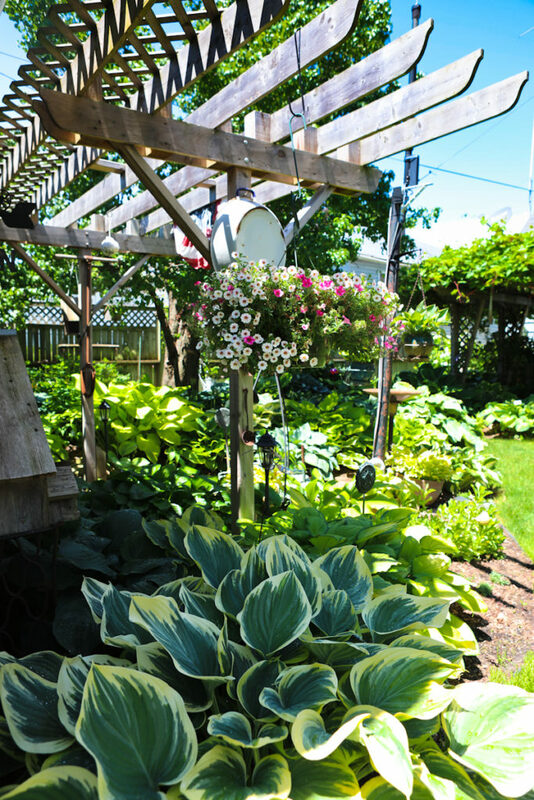 These Hostas were separated from her father’s garden. 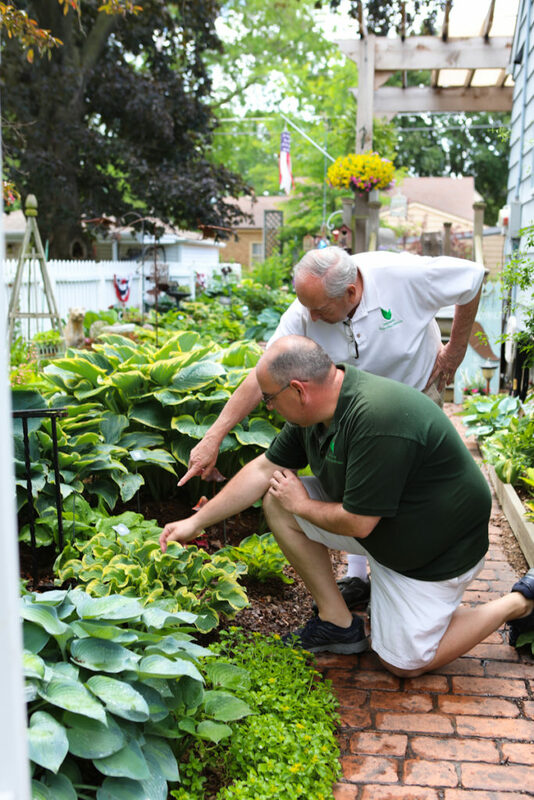 With her father living very near, this made her addiction to gardening grow even stronger and faster, without her knowledge. 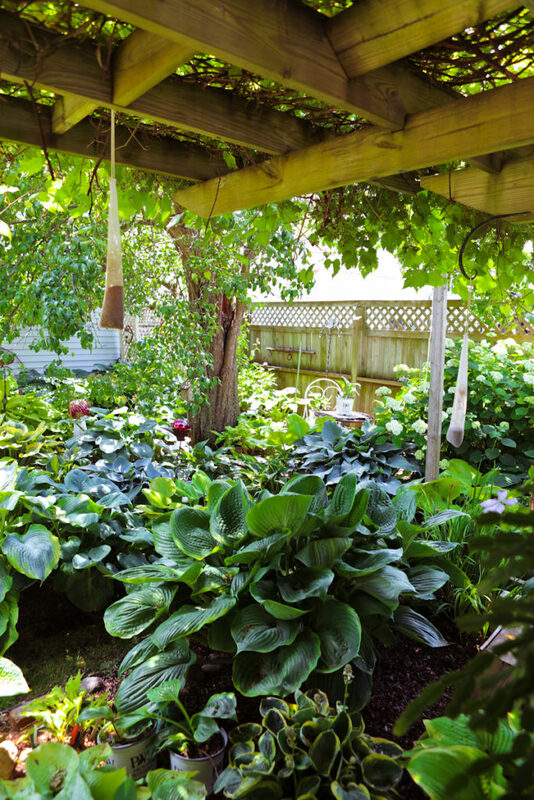 With unlimited hostas, she was quickly running out of shady spaces and looking for the next thing to fulfill her gardening desires. 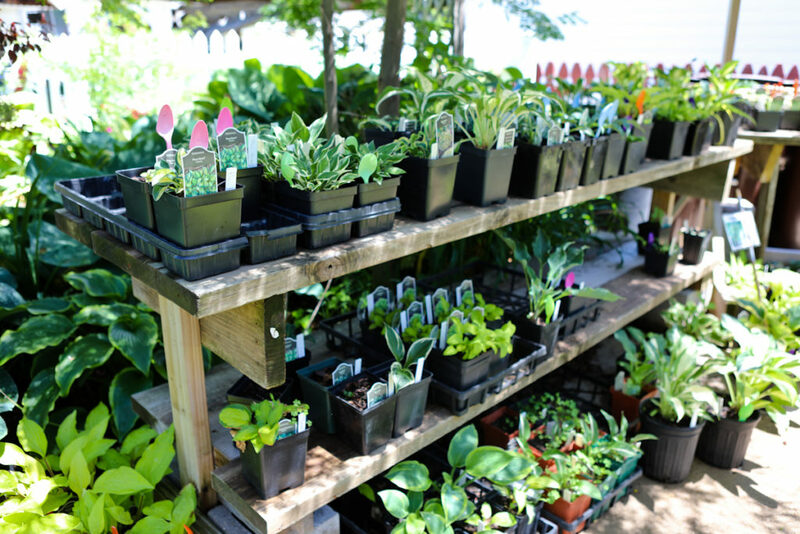 Through years of trial and error of many plant varieties, from flowering to foliage, she finally found what she is most passionate about. 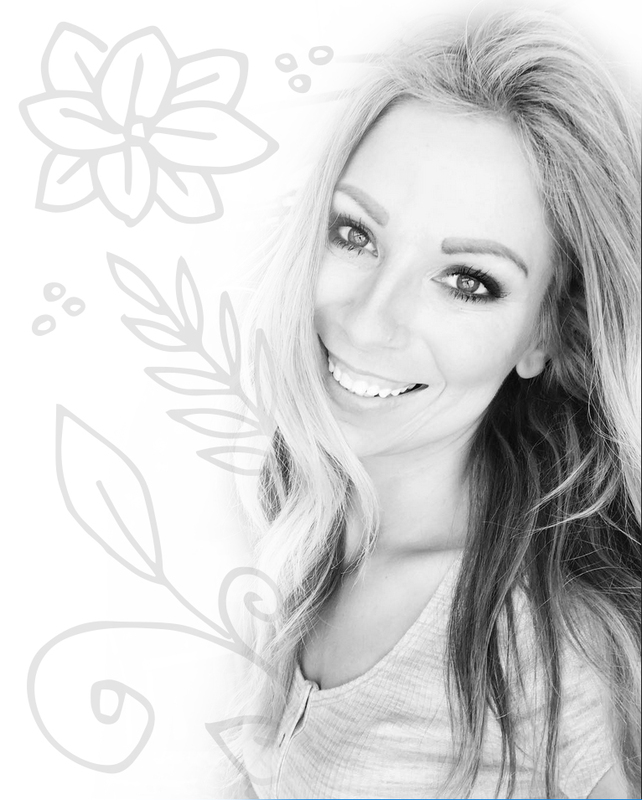 Her passion, today, has grown into a love for succulents. She says she is a bit new at this new love she found, but from looking around her yard, I saw that being new at it didn’t matter. 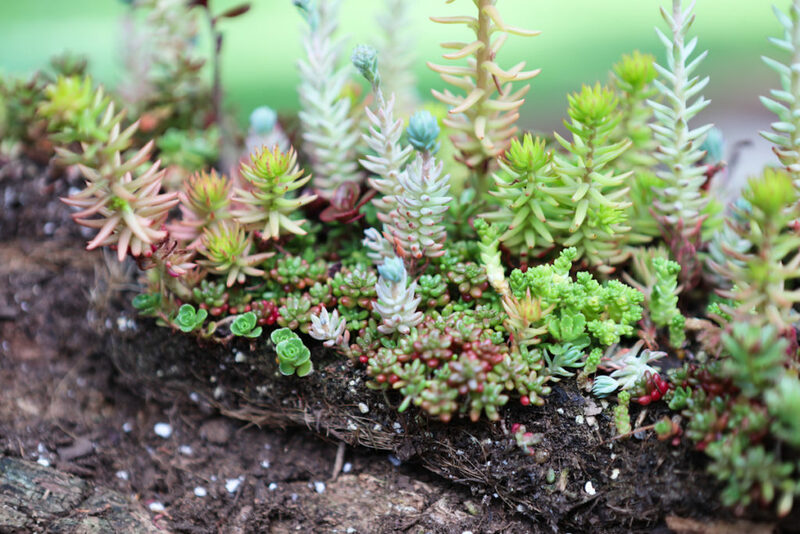 It’s her green thumb that found a soul mate in succulents. 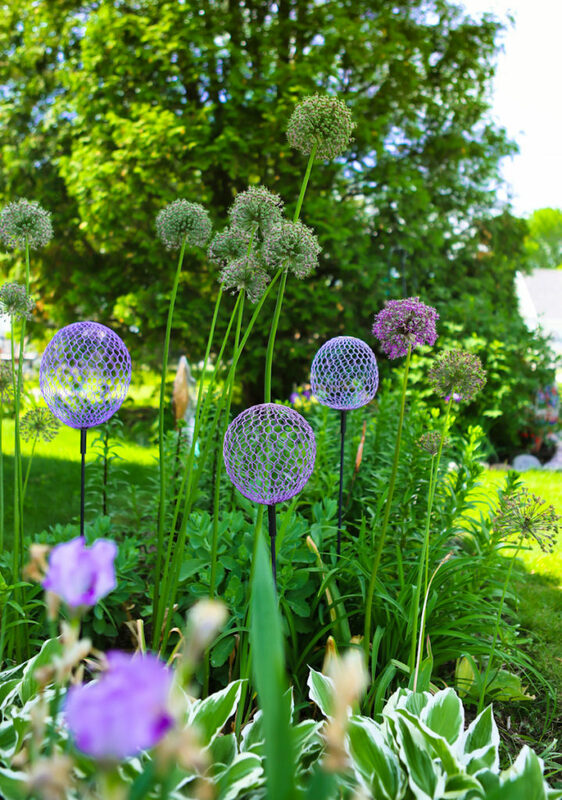 Between all of her creative ideas and garden trinkets, you will stay busy looking through her gardens because there is so much to see. 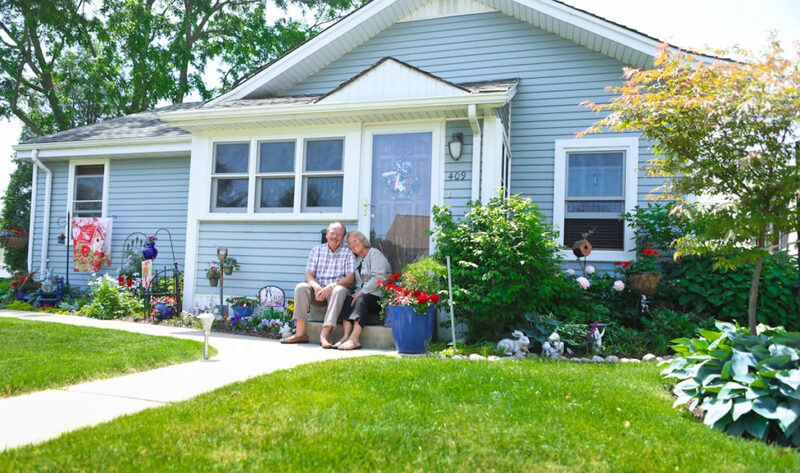 As I talked with Vicki, and got to know her more, that’s when I realized her gardens were a piece of her personality. 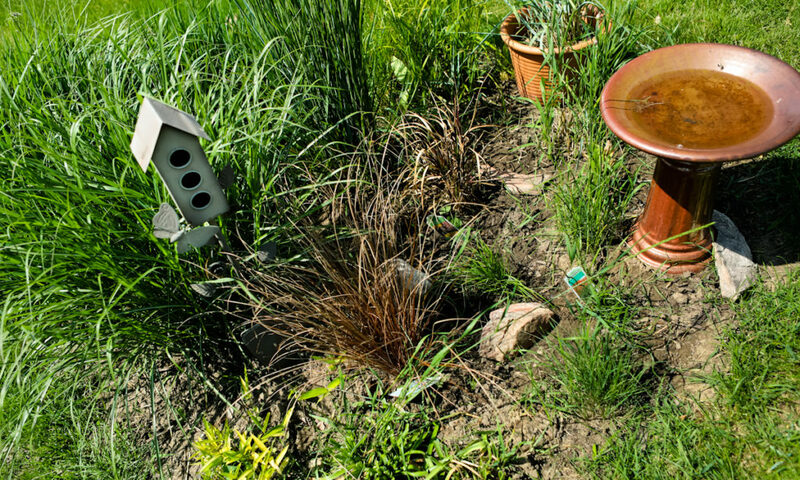 By using drought tolerant varieties such as hostas and succulents, this relieved her of having to dwell on watering all day, every day. 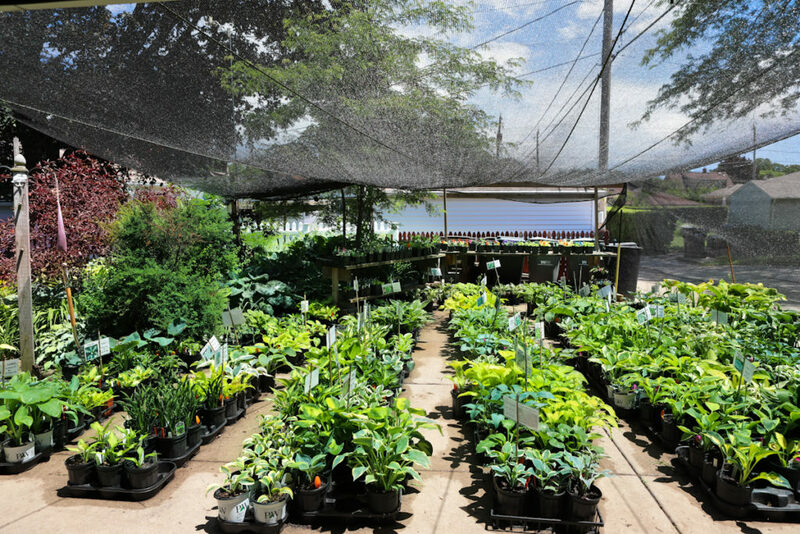 By using these varieties, she now has more time for her other passions and hobbies she enjoys. Most of her free time is now spent in her “She Shed”. It’s the cutest little wooden out building, preserved in it’s natural state. It stands where it always has stood, since the day they bought the property. 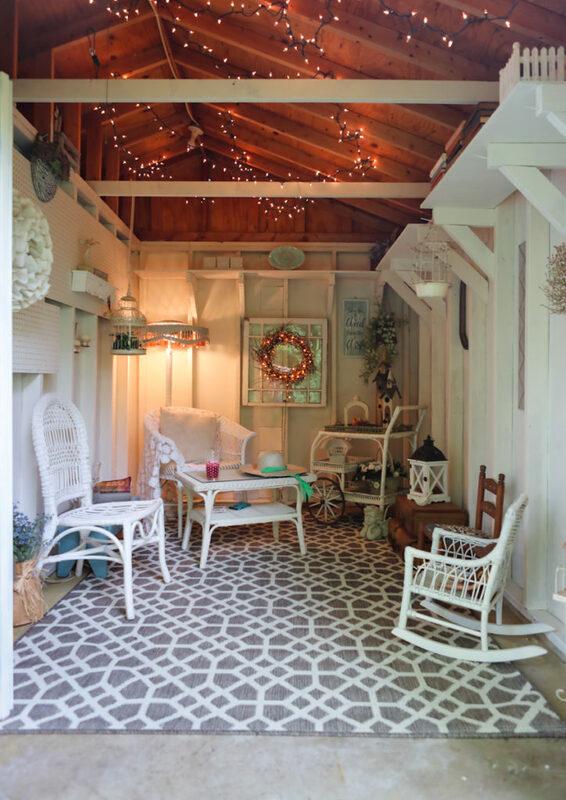 She put her finishing touches on it by adding furniture with a feminine flare, decorative lights and art pieces created by her talented granddaughter. 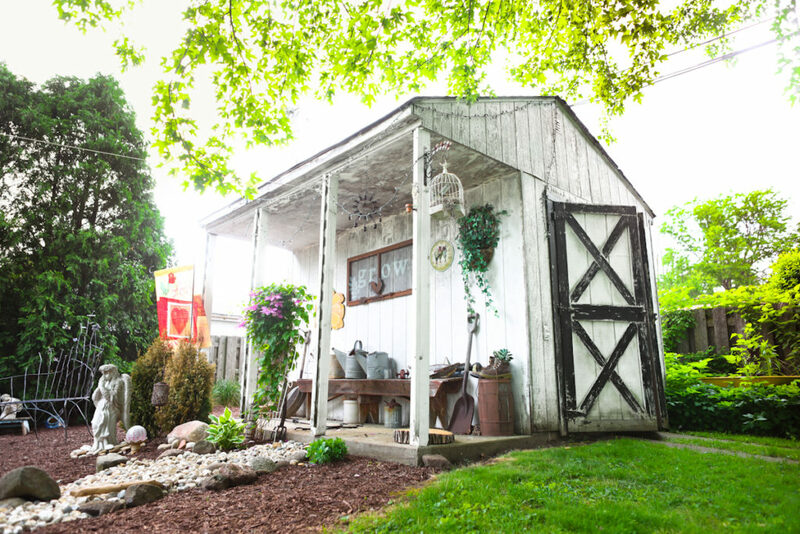 Since the garden projects for the year are complete, she’d like to take more time to read in her newly renovated, little quaint shed. Another passion of Vicki’s is “Rock Hunting”. 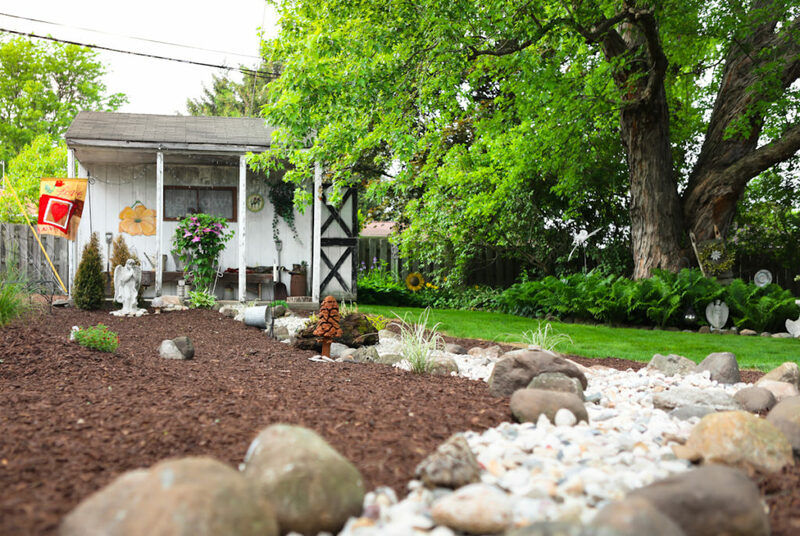 Anywhere she goes, she searches for amazing rocks to bring back and place throughout her gardens. Some of these rocks are painted with beautiful colors in all different patterns by her granddaughter. 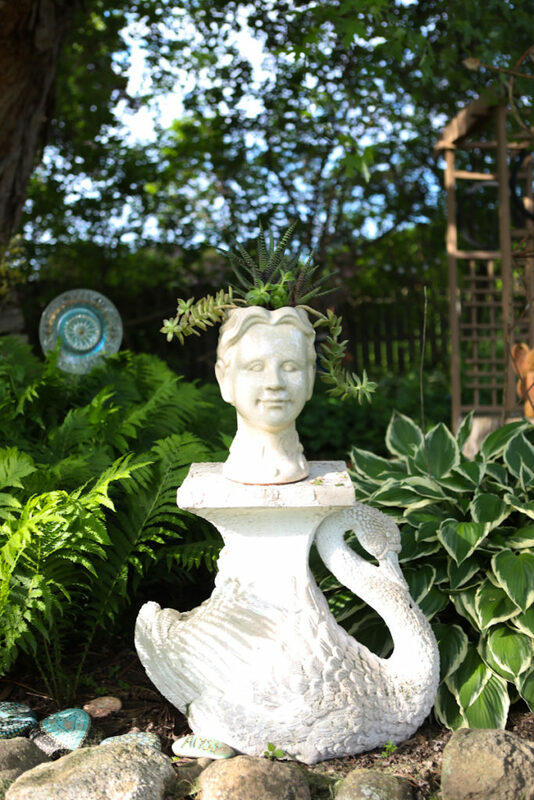 I found that Vicki finds a way to use items throughout her garden, that have meaning. 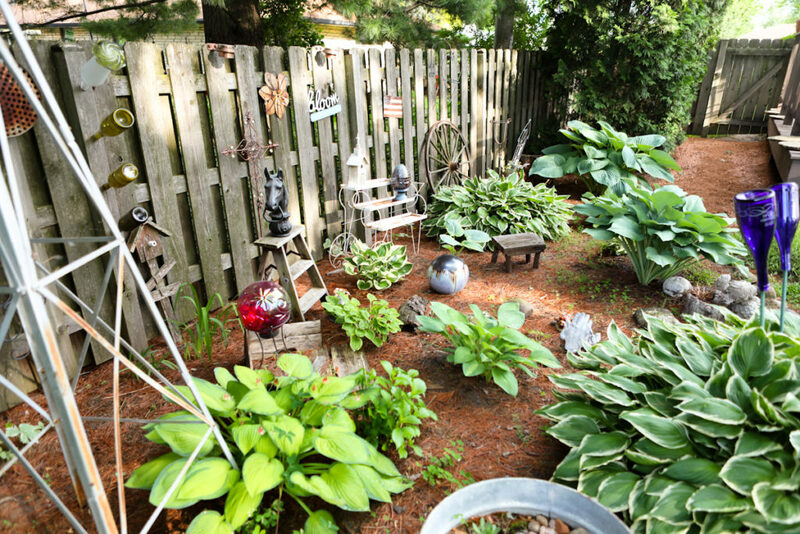 Nothing old goes to waste in her gardens, because she takes anything that has become old, and finds a new use for it somewhere in her garden. 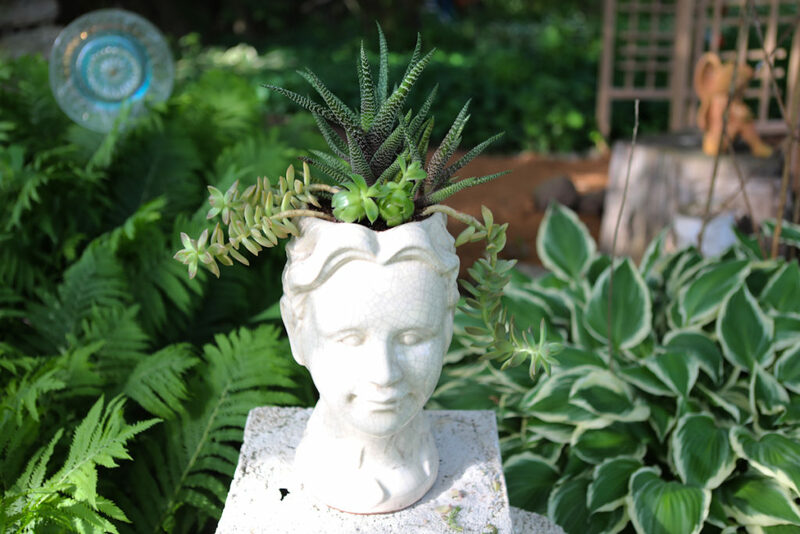 Whether it is used as a decorative piece or recreated into a planter for succulents, Vicki won’t let anything leave the garden. 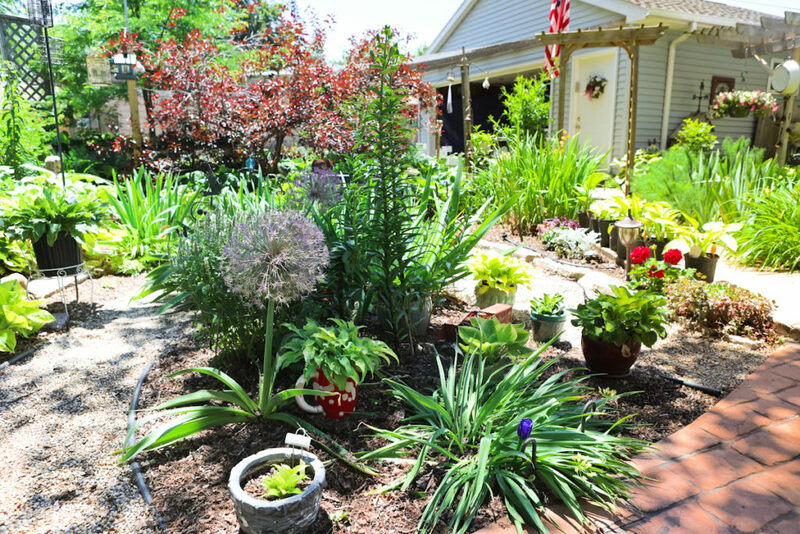 This is what has created her gardens to be a one of a kind, and why it will be featured in this year’s 2017 South Milwaukee Garden Tour, on June 24th. 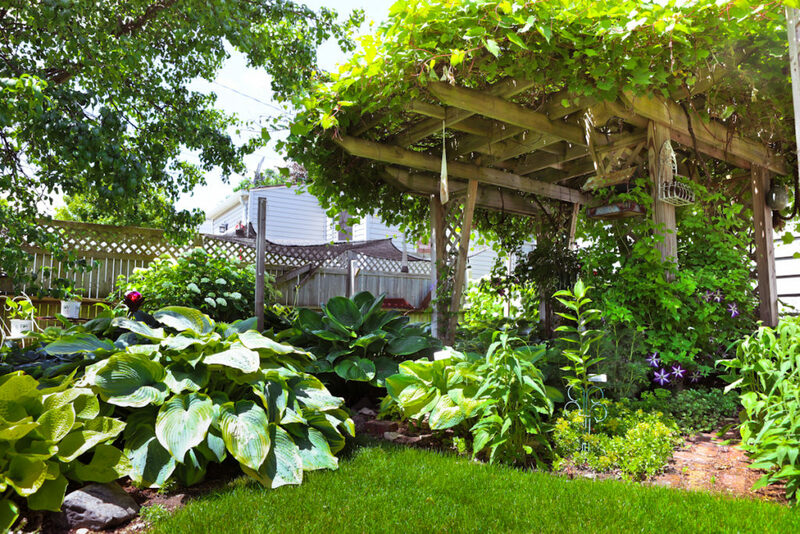 This year seems to be a big project year for this garden getaway. 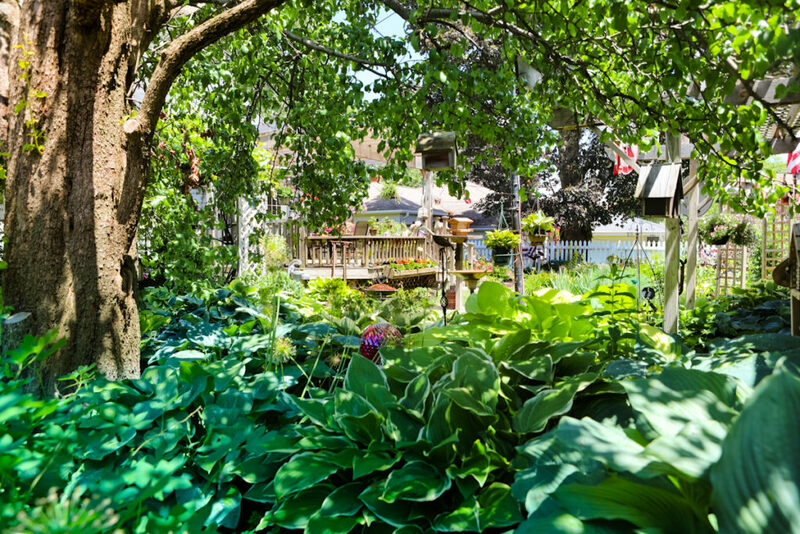 Vicki explained the big projects they just finished up in time for the 2017 South Milwaukee Garden Tour, on June 24th. 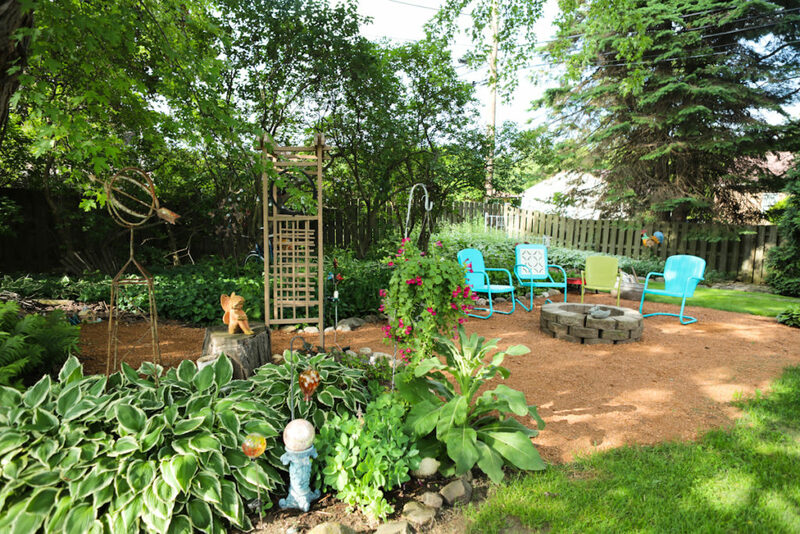 One of the projects was a dry river bed, and the other was a fire pit area with gravel. From what it sounds like, her hands weren’t the only ones getting dirty. 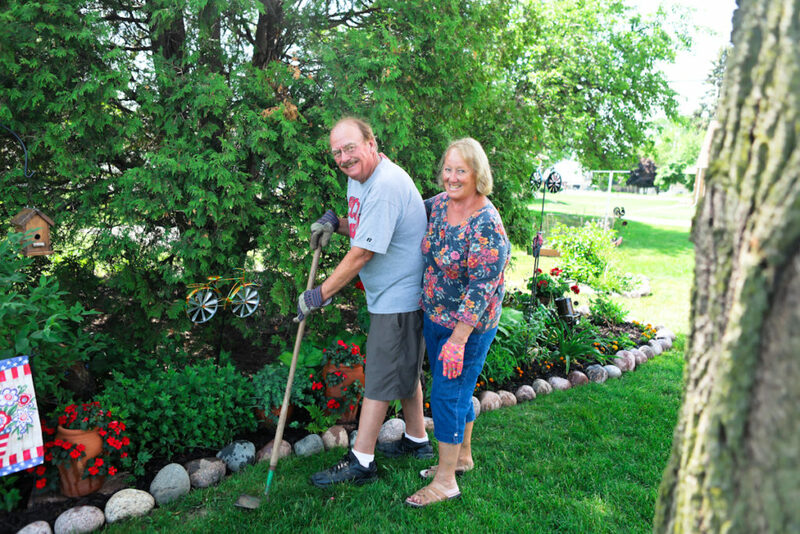 She said it was a family effort, and calluses found the hands of her husband and son as well. 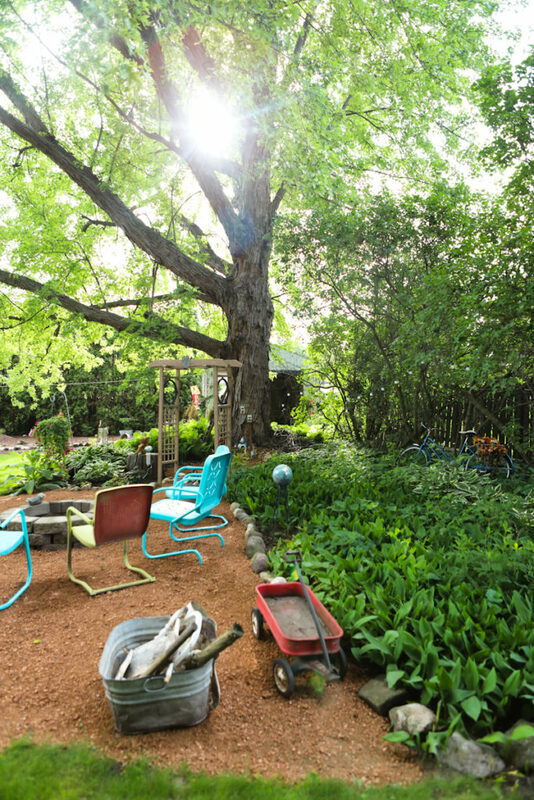 One of the many gardens that Vicki tends to, is what I’d like to call eclectic. It is so unique, and nothing is placed in a uniform suit. That’s my favorite part about it. Every piece has a story, and I notice Vicki’s face light up as she explains every little piece. In this garden she grows Hens and Chicks in a Tub. She said that they have returned now for a few years. I was confused at first, because perennials can’t return if they are grown in a planter, but Vicki explained that the bottom of the tub was cut out. So the roots of these plants are growing in the ground. 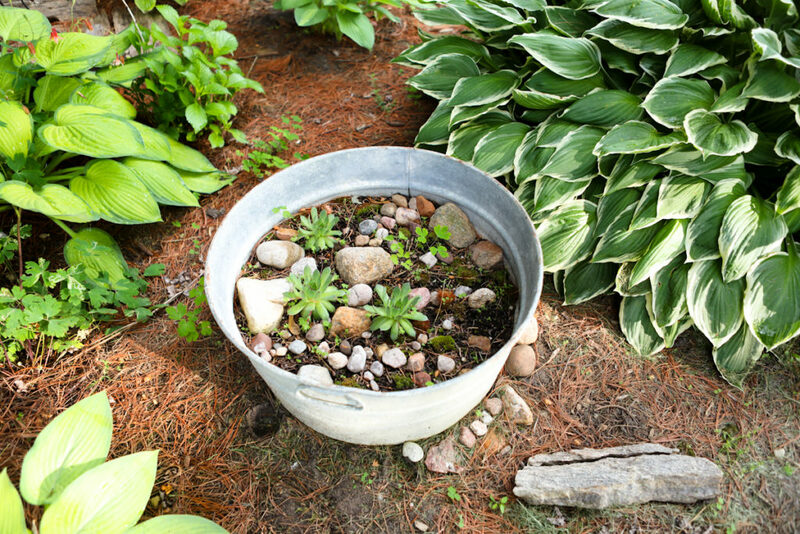 By placing these perennials, in a tub, it gives the appearance that she is growing them in a container. 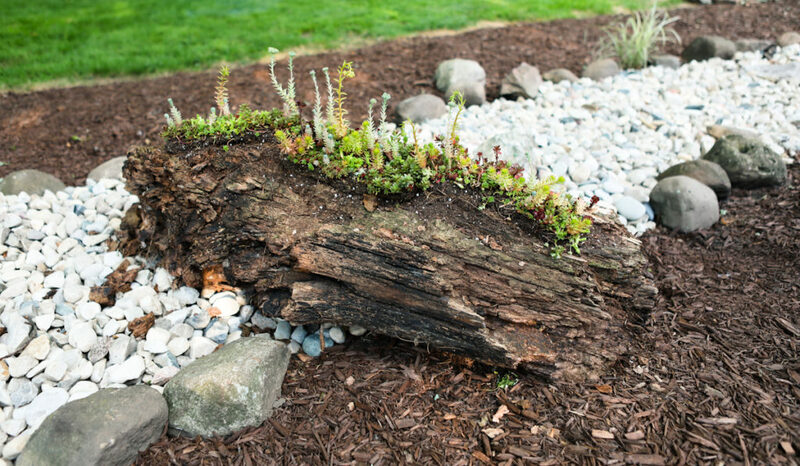 I loved this idea because this is a great way to break up a perennial garden, and make it a lot more interesting. 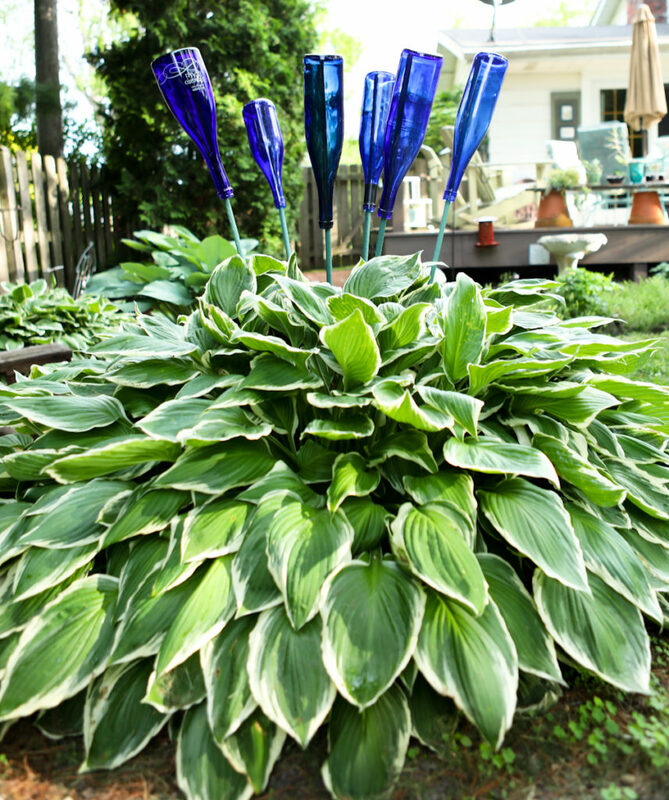 She also breaks up her hosta gardens by throwing in a little bottle art. This adds color and texture, and definitely creates a conversation. 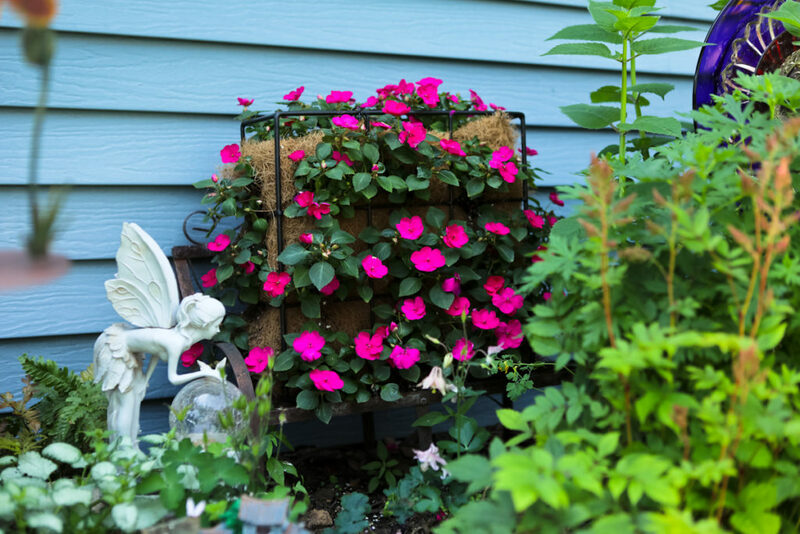 One of Vicki’s favorite flowers to tend to is the Lophospernum vine. She said she is gifted this basket every year, from one of her friends, on her birthday. She loves that there isn’t much upkeep on it. 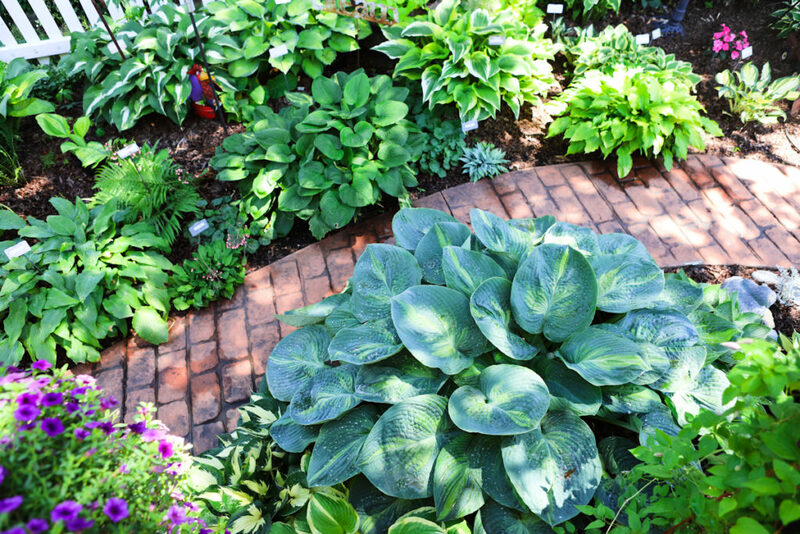 Not only are the flowers beautiful, but the leaves have an artistic shape and growth habit. 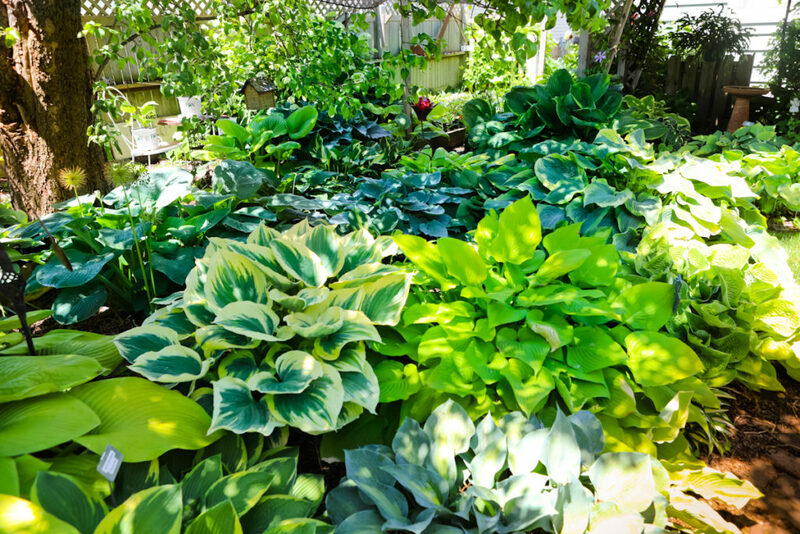 When I say there is a lot to see in Vicki’s gardens, I mean it! Every little corner I turned, there was always something more different and unique than the last. 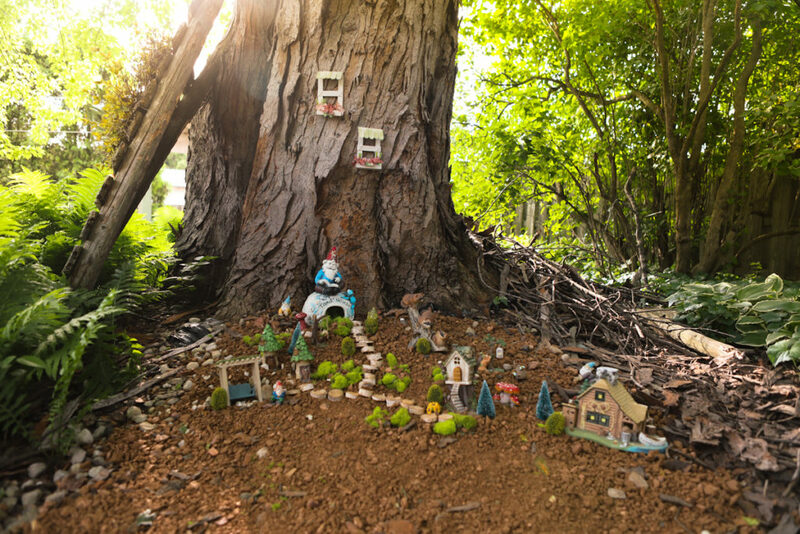 The coolest and cutest fairy garden I have ever seen! There is a village of fairies back there. 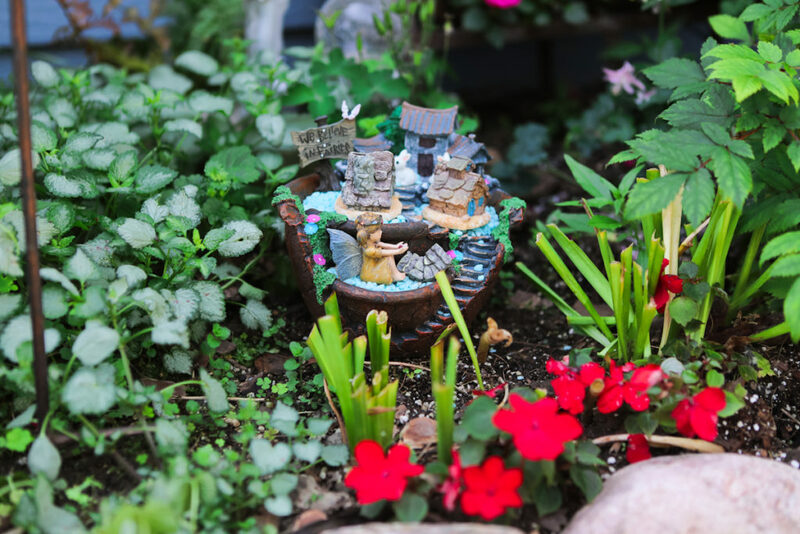 Not just a fairy garden container, a WHOLE FAIRY VILLAGE! 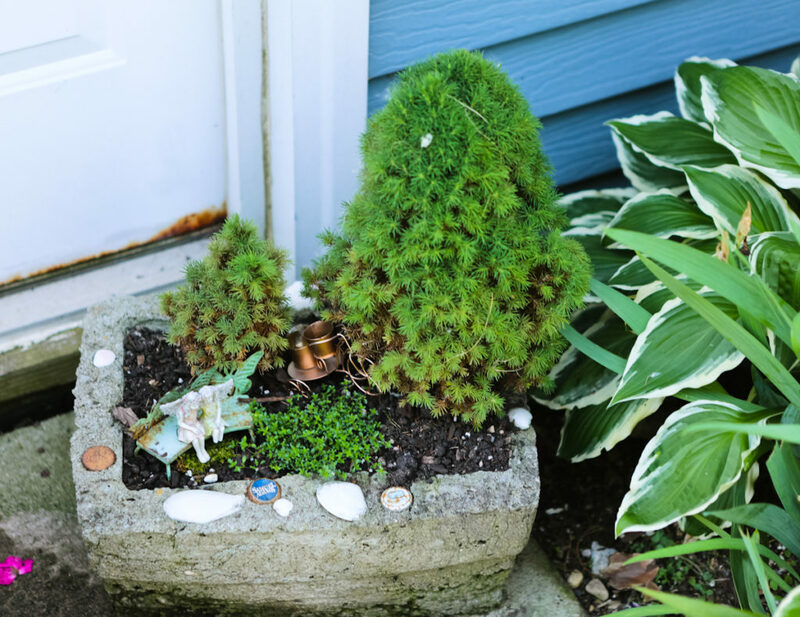 I had to stress that so you understand the extent of this fairy garden that Vicki has created. 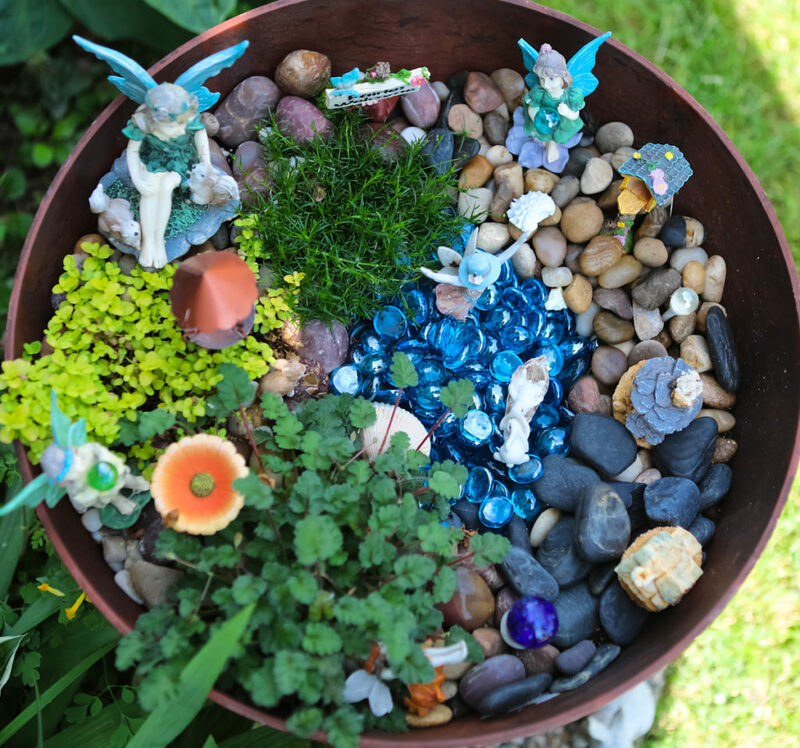 During the 5 o’clock hour, the sun gives this fairy garden a magical appearance, and the only thing missing were sparkles in the air. Which I’m sure Vicki is probably already thinking of ways to add the sparkle with her talented, creative mind. 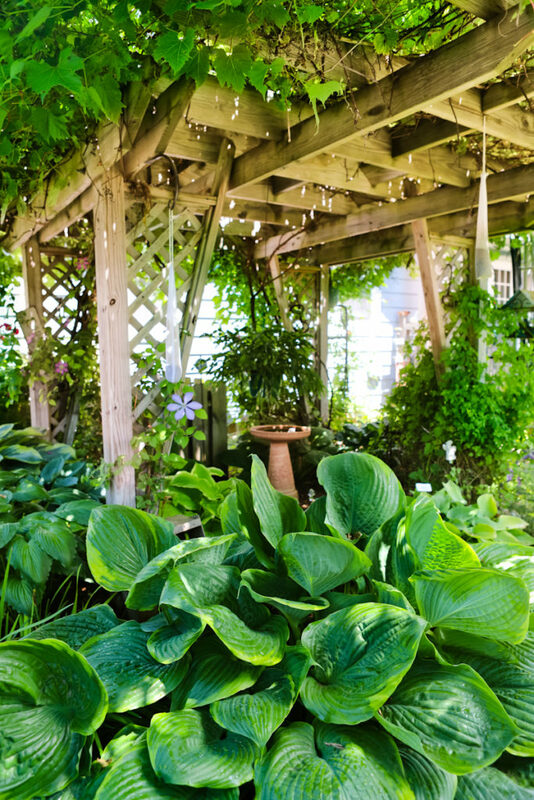 As I found my way through her gardens, sipping on lemonade, I took a second to sit on her porch to take it all in. It was about 75 degrees, real light breeze, the sun was golden at the 6 o’clock hour. I looked to my right and saw another great idea! 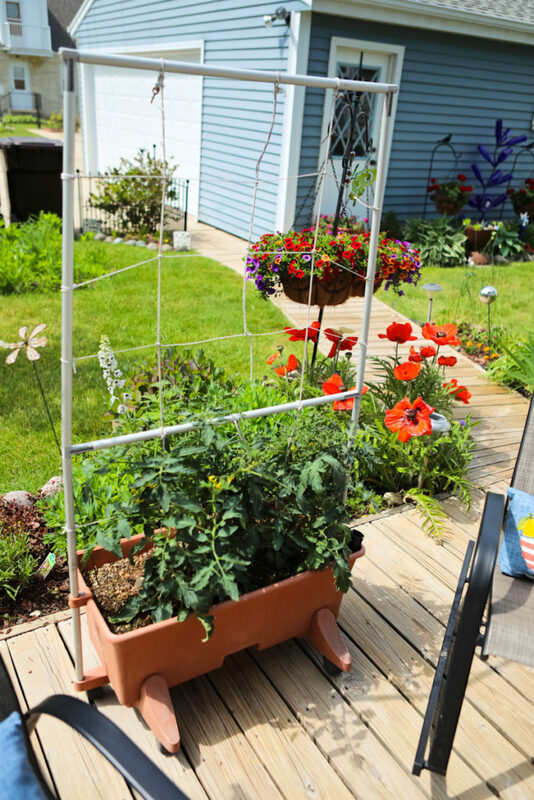 Most gardeners have extra pots and wood laying around, but leave it to Vicki to come up with this creative way to combine all of these materials to create a plant ledge along the edge of her deck. 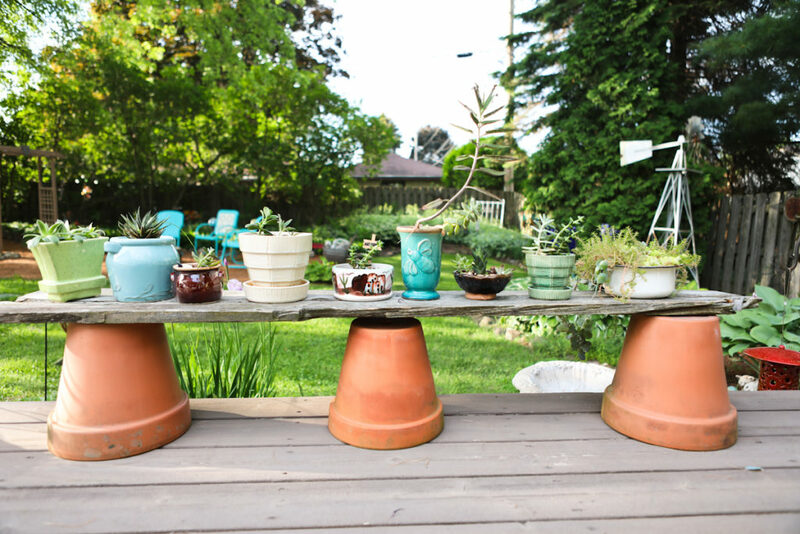 There, she features beautiful porcelain pots with succulents growing out of them. It’s only the first week of June, and Vicki has already put in a season’s worth of work. 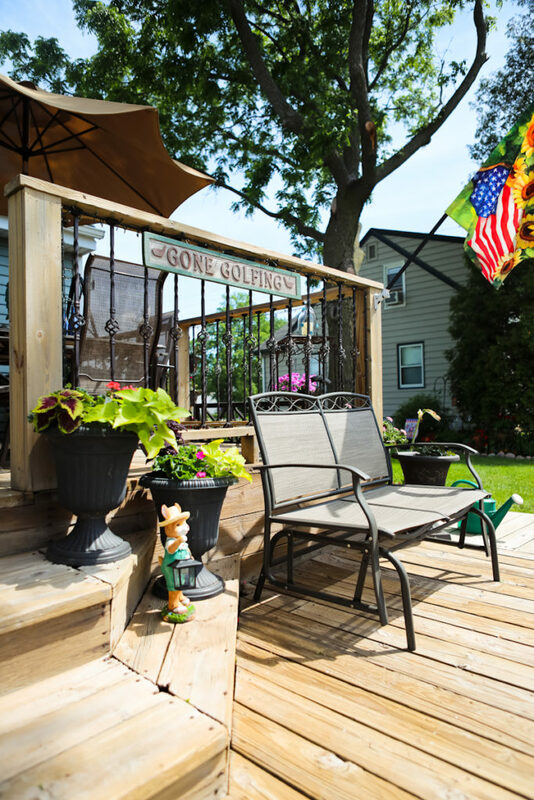 She said that being featured in this year’s 2017 South Milwaukee Garden Tour, on June 24th, pushed her to get yard work done quickly. She is stressed, because she is a perfectionist. 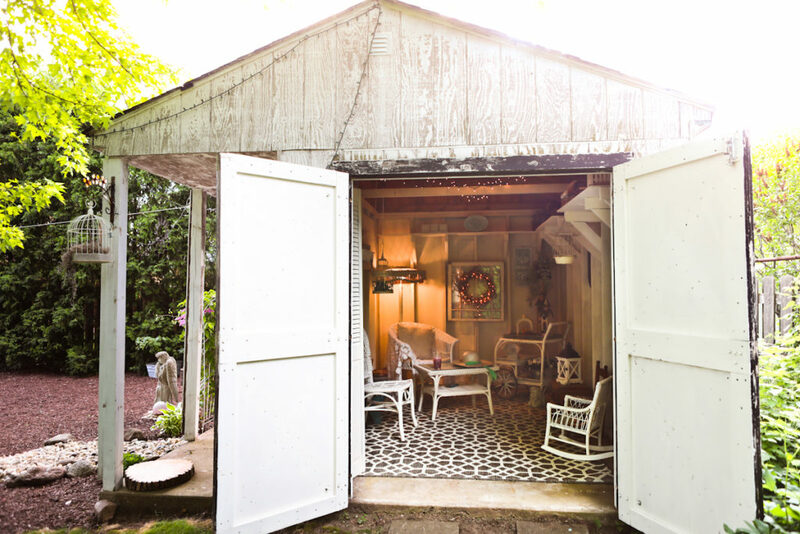 Yet, at this time, it won’t be hard for her to unwind in her “She Shed” with a cold glass of lemonade, or in front of a roaring fire that is crackling in her new fire pit that she and her family worked so hard to create. 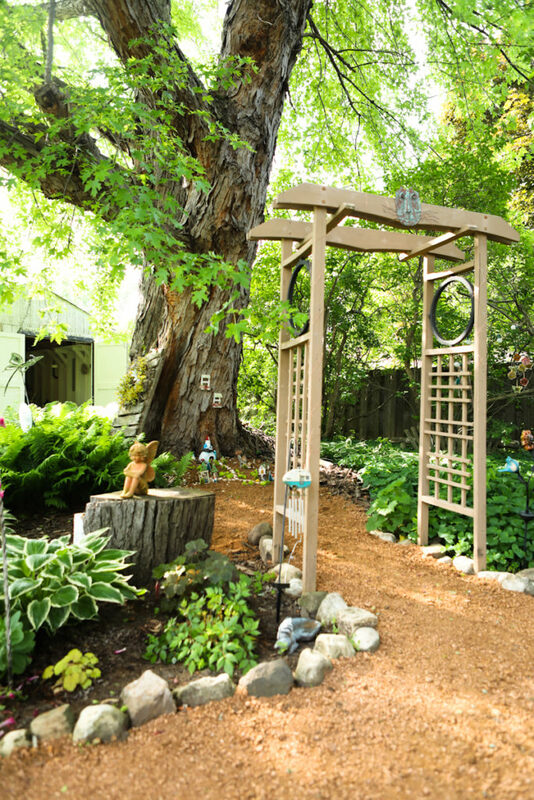 I felt I completely captured this beautiful garden through my lens, I decided to take one more sweep around the yard. 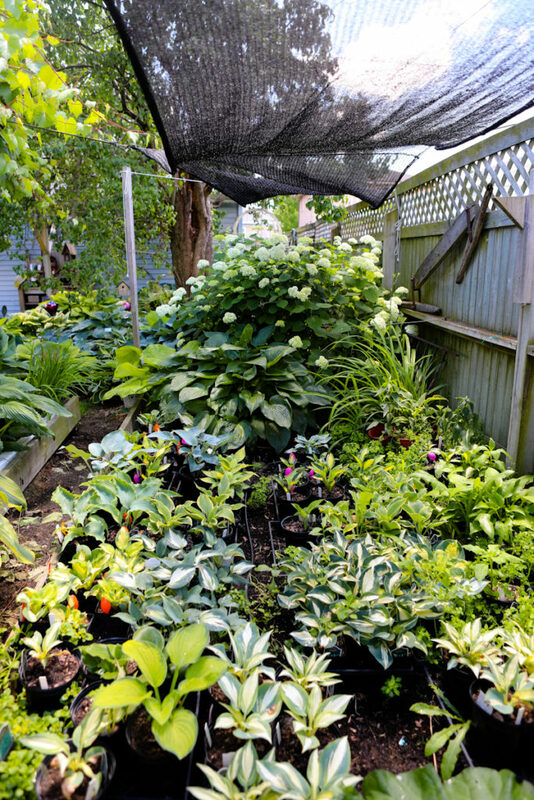 I was drawn in the direction of the “She Shed”, since that’s where I spotted Vicki in her garden zone. Near the end of our time together, I caught some shots of Vicki in front of her “She Shed”. We played around with the photos and had fun. It was so natural to see her in her gardens working, while I stood behind the camera to capture the moment. 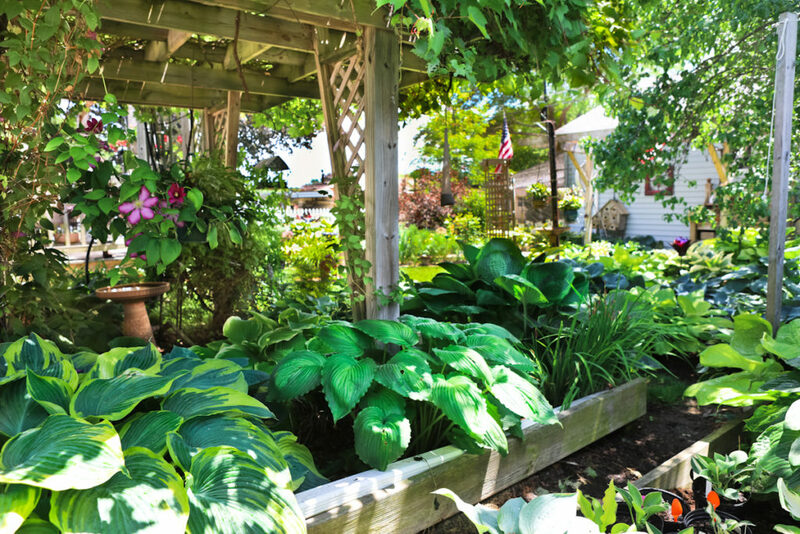 Gardening isn’t just one of Vicki’s passions. 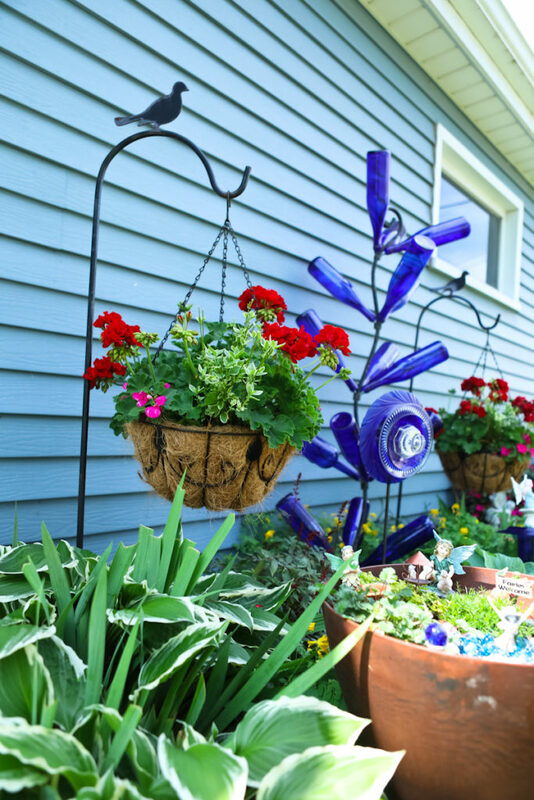 By the time I left, I realized, gardening is a huge part of who Vicki is. 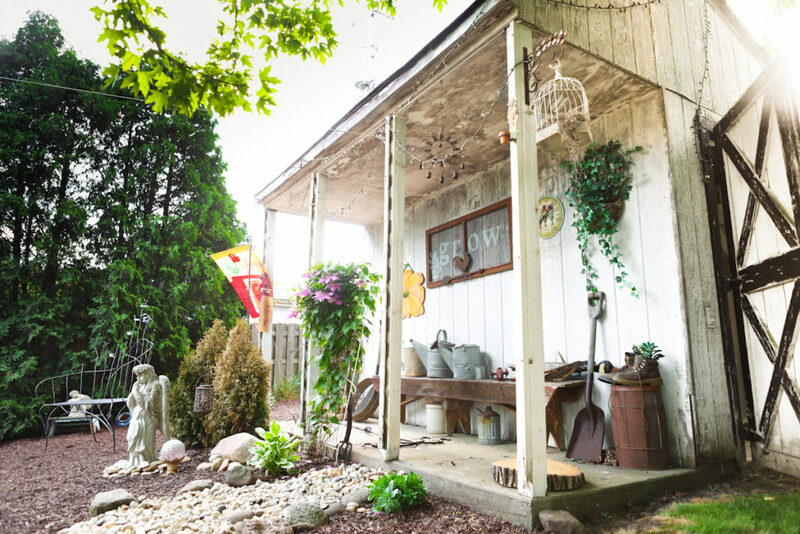 With each turn in the garden, it’s like meeting another side of Vicki, and by the time you have walked through and seen everything, you feel you’ve known her forever!